PE players in Italy and Egypt report tight LDPE film availability, which helped push up prices as per the pricing service of ChemOrbis. Offer levels for this product saw increases during the month of June when compared with late May levels. In Italy, LDPE film prices indicate €50-70/ton hikes while in Egypt, LDPE film prices move up by EGP400-500/ton ($57-71/ton) in the course of June when compared with late May levels. A buyer who received June offers with €40/ton increases from May added that July delivery materials are €10/ton higher from the initial June offers they received. “We have made some purchases in sufficient amounts and therefore we are comfortably covered until September. Considering our adequate stock levels, we do not want to commit to fresh cargoes until July. We saw good end product demand from the packaging sector during May but now our end business is returning to normal levels. 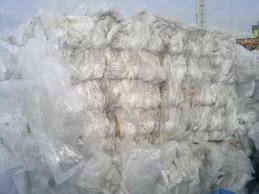 Regarding availability, the market is tight for LDPE and LLDPE film. Therefore, we hear possible increase talks for July,” he added.